This painting is by an unknown artist, and it dates to around 1820. 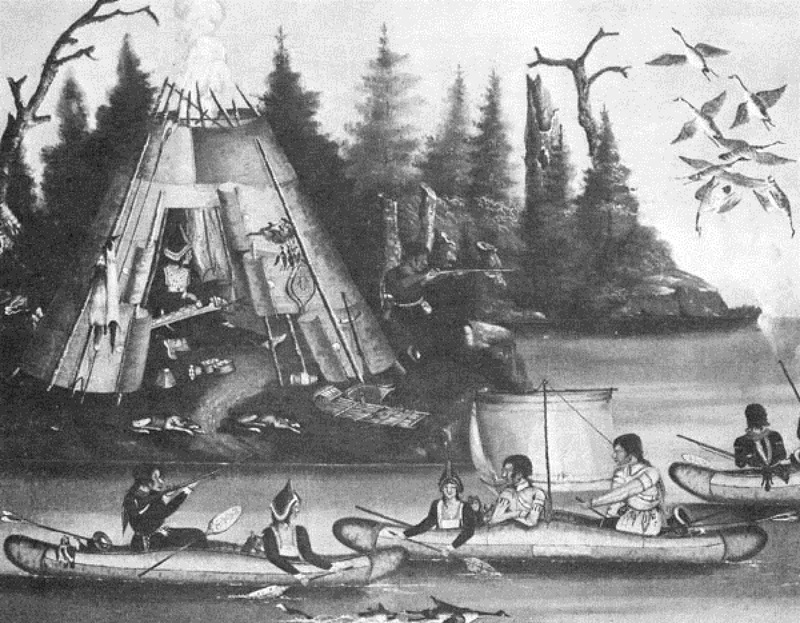 The exact location is also unknown, but it could be within the Mi’kmaq homelands in the Maritimes or in Newfoundland, where some of them migrated in the eighteenth century. They are shooting geese from canoes, and you can see one dog in a canoe and another dog swimming to retrieve a downed goose. These dogs could have played some role in the development of the St. John’s water dog or the Nova Scotia duck-tolling retriever. Granted, no genetic studies have revealed any indigenous ancestry in either of these breeds, but the indigenous people of the region did use dogs to hunt geese and other waterfowl in the fashion. They like originally used bows and arrows, or they may have stalked the birds in the late evening and early morning when they were settled in the water. So much wrong with this! How does a creationist deal with domestic dogs that are afraid of people and with wild animals that are not? (Like this grouse). That argument falls apart right there. You don’t need to abuse one of the canine cognition studies. This is just crap, crap, crap. 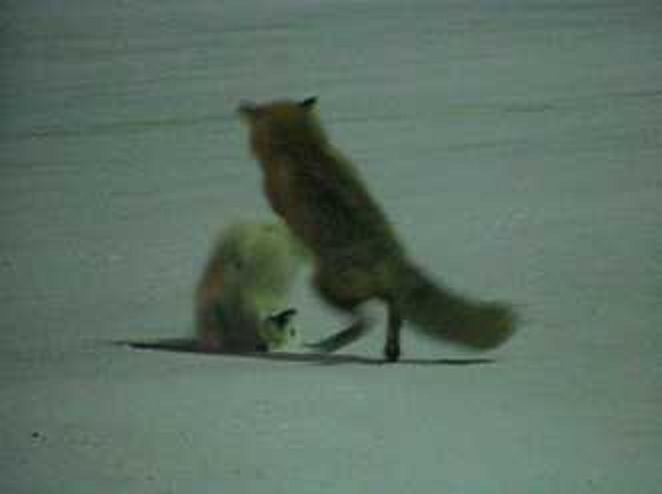 These images come from a journal article that documents a red fox killing an arctic fox at Prudhoe Bay, Alaska, where both foxes are relatively common– and happen to share space. However, one of the rules about wild dogs is that a larger wild dog species will kill a smaller wild dog species that shares the same habitat. It happens with coyotes and wolves, golden jackals and wolves, and African wild dogs and black-backed jackals. Black-backed jackals dominate side-striped jackals, but in general, the larger species tends beat up on the smaller one. 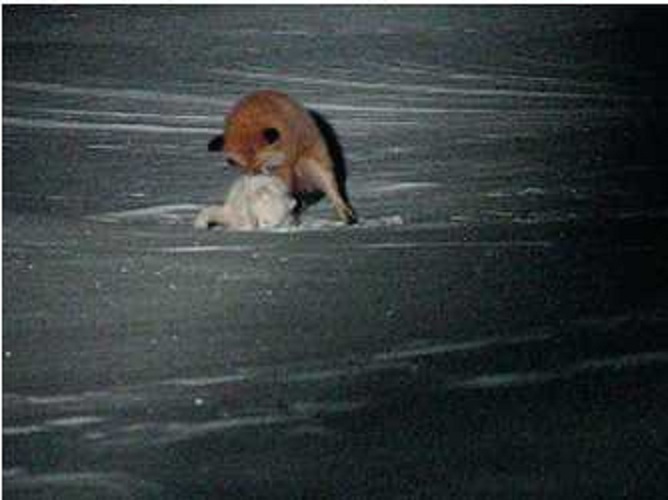 The arctic fox puts up a bit of a fight. But the red fox soon subdues it. 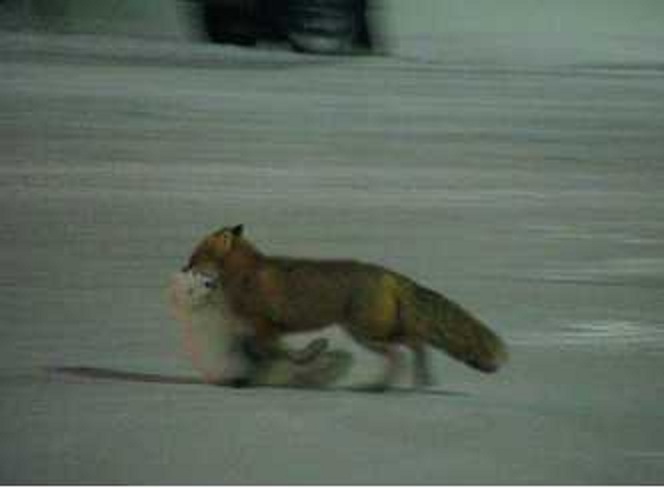 And the red fox carries its victim off to be eaten. Red foxes dominate other fox-sized canids in their range– with one notable exception. Red foxes avoid Urocyon gray foxes. As the son of a son of an old fox trapper and caller, I was always told that a gray fox could be caught on a trap that had been marked with red urine, but you would never catch a red on trap marked with gray urine. If one were calling foxes to the gun, both species could be brought in on red calls, but only grays will come to gray calls. When a gray fox was put in a run with several urine producing foxes, it instantly attacked all of its red kennel-mates and had to be removed before it killed them. Red foxes don’t do to gray foxes, which aren’t actually foxes, what they do to arctic foxes. Red foxes and gray foxes are about the same size, at least in the areas where they share range in North America. Red foxes in other parts of the world are indeed quite a bit larger. Coyotes dominate and eat both species, and if they see a toy poodle, they think that’s just a fuzzy little fox with a bit more fat on it. I have embedded this video before, but I have not provided a good analysis of it. These cheetahs were captured as adults and then socialized to people– something that is almost impossible to do with feral cats! And then they are trained to attack the adult male blackbuck, which is the exact opposite of which animals a cheetah would target in the wild. Cheetahs are fast, but unlike leopards and pantherine cats, they don’t have as much brute strength that can be used to pull a large animal down. Instead, cheetahs often try to use one of the forepaws to trip the prey when they advance close enough to it. If the animal is tripped, the cheetah has a chance of running fast enough to get to its neck before it has chance to get up. When you see these cheetahs grab adult male blackbuck, it is going against what it normally would do, for it is obvious that a cheetah has a very hard time bringing down such powerful prey. Their canine teeth aren’t as large as those of other cats, so it takes them several minutes to kill their prey. If the prey is big and healthy, it could easily injure the cheetah as it is making its killing bite. The cheetahs have to have a certain amount of trust that their handlers will advance upon the downed blackbuck and kill it. Otherwise, it would be very likely that the downed blackbuck could injure the cheetah in its death throes. The cheetahs are rewarded with food. They are given a ladle of blood if they are needed for more coursing, but if their day is over, they are given a portion of the kill. One does not see any compulsory training or harsh handling of the cheetahs in this film. The animals appear to be bonded to their handlers, and they are working cooperatively. And this does have some basis in the natural world. Male cheetahs often band together to take larger prey than they would be able to kill as individuals. The females hunt on their own, which sounds pretty weird. A female cheetah with young would have a greater need for lots of fresh meat that could more easily be procured through cooperative hunting, but they simply don’t do it. So cheetahs do have some amount of cooperative hunting as part of their natural repertoire of behaviors, which is why they could be used as coursing animals. They have all the traits that would make a good domestic animal. They are readily tamed and made docile– so docile that they allow hunters to put hoods over their heads while they are holding their prey in their jaws. But no cheetah courser ever bred enough cheetahs in captivity to maintain a population large enough for any kind of selective breeding. Cheetahs are notoriously difficult to breed in captivity, and modern zoos were not able to produce a live cheetah birth until 1960. People have been trying to breed coursing cheetahs since time of the Ancient Assyrians and Egyptians, and although they might have produced a cub here and there- they were largely unsuccessful in their endeavors. The Indian nobles were never able to breed cheetahs, even when they devoted great resources to the project. One noble kept a thousand cheetahs, and he tried virtually every technique he could imagine to produce cubs. He failed miserably. This inability to reproduce has traditionally been blamed upon the fact that cheetahs are quite inbred. It is estimated that their worldwide population was reduced to 7 individuals 10,000 to 12,000 years ago, which is bad enough, and in the past 150 years, cheetahs have experienced a massive population collapse. Their entire Asian range has been reduced to some isolated pockets in Iran, and their range in Africa has been greatly fragmented. So they were already quite inbred from natural causes, and it has been made worse through hunting and habitat destruction. Male cheetahs do have low sperm counts. More than 75 percent of male cheetah sperm is malformed, but this doesn’t stop cheetahs in the wild from reproducing. It turns out that the reason why cheetahs have such a hard time reproducing is that they have an elaborate courtship ritual. Male cheetahs, which band together as previously mentioned, chase the female when she is estrus. They chase her for several days, and this activity stimulates her into ovulation. In captivity, male cheetahs were never really given this opportunity, and most would-be cheetah domesticators wouldn’t have the space or the understanding to get this mating ritual correct. And if one has to allow cheetahs their courtship chase, it soon becomes obvious. If you can breed coursing dogs in the basement, why would you ever breed cheetahs? The coursing dog might not be as fast as the cheetah, but it’s pretty darn close to the cheetah in its conformation and utility. And it is very easy to breed. It requires almost no knowledge to get them to breed. Just make sure you have a male and a female. And if they are easy to breed, then you can produce lots of offspring from which one can selectively breed. Cheetahs don’t have that utility. As much as I enjoy watching this cheetah coursing clip and thinking of what might have happened had we had some better understanding of cheetah reproduction, I know that the cheetah simply was not going to become a domestic animal. I don’t know how this species would have withstood all the intense selection that is necessary for domestication. Although these animals are readily tamed, there would always be a desire to breed a cheetah that was even tamer, and with an animal with such finite genetic diversity, it is unlikely that captive strains would have been viable in the long term. It’s just one of those animals that appears to have been the ideal hunting partner, but its natural history precluded it from ever reaching this status. I am unfamiliar with the dietary strictures for Muslims regarding the animals that cheetahs catch, but I have come across the strictures for those that a dog catches. Are these rules the same for cheetahs? I’m just curious, for it might explain why cheetahs were preferred over dogs in some cultures. This video says “India,” but at the time, India was a British possession that included the country we call India today and the countries of Pakistan and Bangladesh. This footage could have easily been taken in what is now Pakistan, and considering the religion of the hunters, it probably was. Cheetahs are returning to India! They aren’t going to be used to course blackbuck. They might be coursing blackbuck, but they will be doing it on their own as native Indian wildlife. They got only one cat. These animals do have feelings. However, they don’t belong on this continent. The native fauna is ill-prepared to deal with their depredations. 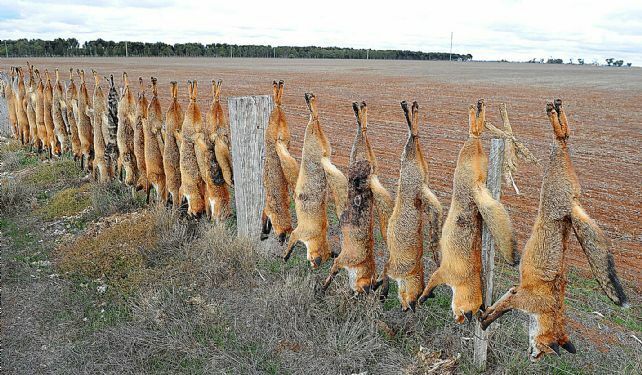 And the only way to save many species of native Australian wildlife is to create areas that are free of foxes and cats. The only way to do that is to kill them. They shouldn’t be tortured when they are killed. A single killing shot will do. In researching the origins of Nova Scotia duck-tolling retriever, I thought that the origins of this breed would be traced to the late nineteenth and early twentieth centuries. And mostly, that is what I’ve found. It seems the exact strain that we now call “the toller” traces to that particular date. I knew that Nicolas Denys was a seventeenth century French colonial leader and soldier in Acadia, and I have read references to his accounts of life in French-controlled Acadia in Farley Mowat’s Sea of Slaughter. The work that Mowat uses in the text, and the only text that Denys wrote– as far as I know– is The Description and Natural History of the Coasts of North America (1672). Of the Foxes [Renards] there are several kinds distinguished by colours. Some are found wholly black, but those are rare. There are black ones mottled with white, but there occur more of grey mottled with white; but more commonly they are all grey and all red, leaning towards the reddish. Those animals are only too common. All these kinds have the disposition of Foxes, and are cunning and subtle in capturing the Wild Geese and Ducks. If they see some flocks of these out on the sea, they go along the edge of the beach, make runs of thirty to forty paces, then retire from time to time over the same route making leaps. The game which sees them doing this comes to them very quietly. When the Foxes see the game approaching, they run and jump; then they stop suddenly in one jump, and lie down upon their backs. The Wild Goose or the Duck keeps constantly approaching. When these are near, the Foxes do not move anything but the tail. Those birds are so silly that they come even wishing to peck at the Foxes. The rogues take their time, and do not fail to catch one, which pays for the trouble. We train our Dogs to do the same, and they also make the game come up. One places himself in ambush at some spot where the game cannot see him; when it is within good shot, it is fired upon, and four, five, and six of them, and sometimes more are killed. At the same time the Dog leaps to the water, and is always sent farther [and farther] out; it brings them back, and then is sent to fetch them all one after another (pg. 384-385). This text strongly suggests that using dogs to toll ducks to the gun was a tradition that dates several centuries before the Nova Scotia duck-tolling retriever developed into its present form. It also suggests that this technique for duck hunting was introduced by the French, not the English. It also has to have been a successful technique for bringing in ducks to the gun, or it wouldn’t have lasted in Nova Scotia for so many years. A British man has been mauled by a shark while swimming in South Africa, authorities said. The 42-year-old man is fighting for his life after the attack by a great white at Fish Hoek beach in Cape Town. 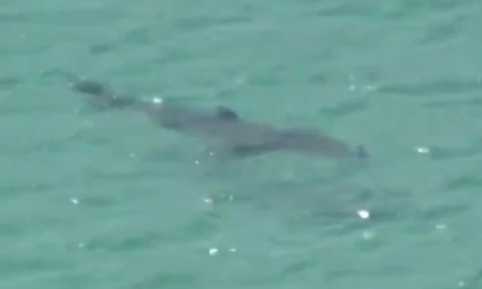 Reports said the man, who is believed to live in the city, was rescued by a bystander after he ignored shark warnings to go swimming. National Sea Rescue Institute (NSRI) spokesman Craig Lambinon told the South African Press Association (Sapa): “It appears he was rescued from the water by a bystander who left the scene before we could identify him. Mr Lambinon said the victim was believed to live in the suburb of Plumstead. He was stabilised at the scene and then airlifted to Constantiaberg Medi-Clinic in a critical condition. The city of Cape Town told Sapa that, when the man entered the water, the beach was still closed. A shark flag, indicating the presence of a great white, was flying. A shark spotter stationed on the beach was warned by a spotter on the mountain that someone had entered the water. The shark spotters tell the authorities to warn everyone. 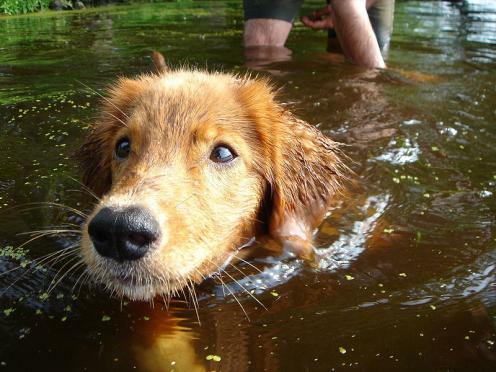 Everyone gets out of the water. Maybe he thought they were like dolphins.